The beginning of the 1960’s saw an important change in the Club Constitution. Up to that time, C.T.C. Membership was compulsory for Club members, but, at the A.G.M. in December 1959, the decision was made that this no longer need be the case. It was still advantageous to be a member of the C.T.C, as L.R.C. membership was only 5/- (25p) a year if a current C.T.C. membership card could be produced, but for non-C.T.C. members the annual subscription was £1.00. 1960 also saw new regulations regarding the organising of cycle racing on the road. Police Notification Regulations came into force and this meant that even club events had to be arranged, and the police notified, at least four weeks before the event. Evening ten-mile time trials were, however, held during the season on a number of different courses including the A56 Bury-Rawtenstall Road. To obtain police permission for these events, they had to be run as “speed trials”, which meant that each rider had to state his anticipated time before the event, and leave his watch with the timekeeper! 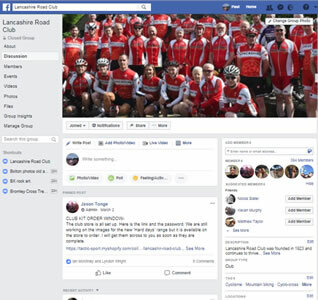 On June 13th, in one of these tens on the A56, a member of the Rossendale Road Club, Kevin Waters, collided with the back of a stationary car and was killed. The verdict at the inquest was “Death by Misadventure”. New regulations were coming thick and fast, and another casualty was the annual club raffle later in the year. Under new Gaming Laws, permission had to be obtained to run a raffle, and the Club Committee realised, too late, that by the time the organisation could be completed, it would be too late for Christmas, a blow for the Club’s finances. As the 50’s had been dominated by two riders, Harold Robey and Gerald Kay, the early 60’s had two riders who were prominent, Ken Marsden and Stan Mills. Between them they captured all seven Club Championships between 1960 and 1966, with Ken as Club Champion in 1960, ’61 and ’63, while Stan took the honours in 1962, ’64, ’65 and ’66. In the same years Ken took three Club 50’s, four Club 100’s and one Club 12 Hour. Stan’s tally was two Club 50’s, two Club 100’s and three Club 12 Hours. In 1963 a new trophy was purchased for the winner of the Club 25, and Stan was the winner of this in the four years 1963-66. Not only were they the outstanding riders, but they also rewrote the Club record books with the times they achieved. These two were not alone, however, as John Partington often split them in Club Championship events and seemed to be the perpetual second placed rider. The 1959 Club Champion Dave Coffey started off 1960 in fine style, winning the Club Mountain Trial from Gerald Kay, taking second place in the Club 25 only 4 seconds behind Ken Marsden and a minute in front of Gerald, and finishing in third place in the Nelson Wheelers Circuit of the Dales, only two minutes behind the winner, Billy Holmes. Early in 1960, Gerald Kay set Club Records for Bolton-Hawes-Bolton and Bolton-York-Bolton with times of 6hrs 53mins and 7hrs 00mins respectively, but it was reported in May that he had gone into “95% retirement” from racing due to business commitments. The Club promoted a Road Race at Edgworth on May 15th and a report of the race stated: “A little bit of trouble. On the last lap, the police stopped a three-man breakaway for “speeding”, and the following bunch for not stopping at a Halt Sign, so in effect they stopped the race. It is not known whether the riders are being charged – it seemed a little spiteful at the time, especially the “speeding”, but if people don’t stop at Halt Signs, with the police following in a car, then they must expect to be stopped”! Shirley Marsden was again the Ladies’ Champion breaking Club Records at 25 and 50 miles with 1.06 and 2.17. John Partington was the winner of the Club 12 Hour for the second year in succession with his ride of 239.030, and a young Stan Mills, in his first season, was pipped for the Club Novices award by Roger Gains. The Club Twelve Hour which had been held on June 19th only attracted 39 entries, and questions were being raised on the viability of two twelve hour events, the Lancashire Road Club event and the N.L.T.T.A. event, on the local Brock course. The Club twelve had clashed with the Isle of Man Week and the Manchester Wheelers Hundred, and these events were, no doubt, in some part responsible for the low entry, but generally the number of entries had declined in recent years. In 1961 Ken Marsden won all the Club events and this was believed to be a record. He set two new Club Records, lowering Keith Tattersall’s Fifty Mile Record of 2.02.50 to 2.02.20, and, in the Bath Road Hundred, he lowered Stan Haslam’s 1949 Record of 4.20.17, to 4.19.00. In that same event John Partington was not far behind with an excellent P.B. of 4.21.59. Needless to say, Shirley won the Ladies’ Championship. In the 1961 Club 100, a young new member, John Holding, recorded a very creditable 4.30.59 to take third place, only six minutes behind the winner Ken Marsden. The Club had never had a clubroom of its own, so for the social season 1961-2, the use of the Wingates Cycling Club’s room at Westhoughton was arranged. The Thursday night Club nights were, at first, very popular, but their popularity dwindled until, by March 1962, very few members were attending. It was thought that this was because Thursday night was training night, so club nights were rearranged for Monday and later to Friday. These changes did not have the desired effect, so by June the attempt to hold regular club nights was abandoned. In June 1962, Club Secretary John Partington, writing in the club circular, said, “I can count on both hands the really active members of the Club, out of a membership of just over 140”. Wingates Club Room was used again for some years and this was probably the nearest the Club has ever come to having a regular club night. The members who did attend the clubroom, in preference to training, did manage to uphold the name of the club in a fixture in March 1962. The Club Mountain Trial had had to be abandoned because of snow and ice on the course, so all the hard training went for nothing, but the training put in at the club room was put to good use as the L.R.C. team defeated the Wigan Wheelers – in a darts match! The inclement weather also caused the abandonment of the Club 50 which was to be held in conjunction with the NLTTA 50, so for 1962 there was no Club 50 Mile Champion. In 1962 the Club gained its first, and only international honour. Shirley Marsden had had another very successful season with many top three places. In addition to her individual successes she also led the Lancashire Road Club to team honours in the Manchester & District Ladies Cycling Association 50 Mile Championship and Best All Rounder Competition. Making up the team were M.Cole and M.E.Johnston. As a reward for her excellent riding, Shirley was selected to ride in the World Championship Road Race in Milan. The instructions the team received were to ride in support of Beryl Burton, who had previously been World Champion in both the Road Race and the 3000 metres Pursuit. 1962 saw Stan Mills win the first of his four Club Championships after a close fought battle with Ken Marsden. Ken had been leading the race and had again broken the Club 50 mile Record with 2.01.13, but was absent in the latter part of the season as he was supporting Shirley in Italy, and Stan rounded off his challenge for the Championship with a hundred mile time of 4.25.36. Towards the end of the year, Stan Mills turned his attention to the Club Place to Place Records, lowering Frank Kerry’s Bolton to Southport and back record by the slim margin of 43 seconds, setting a new time of 2.38.45. That year the Club introduced coaching courses at New Overdale Residential Training Centre. These two-day residential events were organised by Clive Cartwright, and most of the top British professionals were in attendance including World Road Race Champion Tom Simpson, Tour de France rider Brian Robinson, B.C.F. team manager Tommy Godwin and multi World Sprint Champion, Reg Harris. The Club was the first to organise such courses and they brought prestige to the Club, being widely reported in the Cycling press. 1963 began promisingly in the early season Preston Wheelers 25, with Stan Mills, Keith Gerrard and Ian Ainsworth missing the team award by the narrow margin of 5 seconds. Keith had won the Club Opening 25 by a single second from Stan and these times were also good enough for first and second places in the N.L.T.T.A. Combined Clubs 25. Ken Marsden was a further four minutes in arrears. These riders were all placed in early open events and this augured well for the season. Three new Club Championships were introduced in 1963, the Club 25 which was to be decided in the October Combined Clubs 25, The Road Race Championship, for which the formula for deciding who the winner would be was the subject of much discussion, and the Club Mountain Trial, the trophy for which had been kindly donated by the Old Lags Association, (of which more anon). The first winners of these trophies were S.G.Mills, K.Gerrard and M.J.Howarth respectively. The Club Champion for 1963 was Ken Marsden, with Club Record rides of 1.59.05 and 4.14.35 together with 58.31 (at the time a Club Record) and a 248.07 twelve hour. The 25 record was to be lowered later in the season by Stan Mills with 58.11 on a course in Yorkshire. The team of Ken Marsden (23.144), Stan Mills (22.553), and Gerald Kay (22.242), finished 9th in the B.B.A.R. Team Championship, with an average speed of 22.646mph. The winners were the Selby CC with an average speed of 23.531. In September 1963 Stan Mills again attacked the Club Bolton to Hawes and back and succeeded in lopping 30 minutes off Gerald Kay’s time, recording 6hrs 23mins. This Record stood until 1999 when Jon Purdy lowered it to 5.49.08. Stan’s Bolton to Southport and back and Gerald Kay’s Bolton to York and back Records still stands. In 1963, a new “Club within a Club” was formed. An unofficial body at first, and even today, 40 years later, still a quasi-official section of the Club, this association was to play a not unimportant role in the future. On Tuesday, March 26th 1963, a member of the Club, Erek Dooley (now alas deceased), held his “stag night” at the Hulton Arms, Four Lane Ends. Among those present at this function were Club members Jack Roughley, Frank Kerry, Bill Parkinson, Jim Hall, Dave Coffey, Danny Lees, John Partington and Peter Hodson, (sadly now also deceased). In the general conversation it was mentioned that it seemed a pity that these old friends didn’t see each other except when one of their number was getting married, and wouldn’t it be a good idea to meet regularly. As a result of this it was decided to form “The Lancashire Road Club Old Lags Association” (Jim Hall was to blame for the title) the object of the association being “to encourage the rather less active members to do at least a bit of cycling (and other things) and to hold monthly runs on the first Friday of each month”. (These “runs” turned out to be meetings in local hostelries rather than runs). The first meeting of this illustrious association was held on Friday 5th April 1963 at the King William Hotel, Dimple. In its early years the venue for the meetings was changed monthly. Whether this was because a moving target is more difficult to hit, or whether “The Lags” did not want the local breweries to think that they were being unfairly treated by ‘the lads’ using one venue only, is not known, but nowadays the regular meeting place is Egerton Cricket Club. Whilst the “official” meeting is the first Friday in each month, every Friday sees members in attendance from about 9.00pm onwards and any club member, Old Lag or not, is now welcome. On the same stag night a rather unusual wager was struck (after one or two ‘bevvies’ had been consumed no doubt). The above founder members each put 2/6 (12½ p) in a kitty, the fastest of them in the closing 25 to take the jackpot of 22/6 ( 112½ p). The result? Lees, Partington, Dooley and Hodson must have been well off as they didn’t even enter the event. Kerry, Hall and Coffey, also very affluent, were either DNS or DNF, (no record) so that left Bill and Jack. Jack took home the bacon with 1.04.53 to Bill’s 1.12.34. 1964 was not exceptional by past standards in the field of time trialling except for Stan Mills who had his best ever season. He set new standards for 50 and 100 miles with Club records of 1.57.28 and a superb 4.03.44, and these rides, together with his 246.39 miles twelve hour, gained him 23rd place in the B.B.A.R. Table. In 1964 the road race boys were beginning to make their marks. In the Club’s Road Race promotion over three laps of the Holcombe Circuit in September 1964, the Club took the Team Prize with Dave Dewhurst 3rd, Brian Edwards 4th and Nev Kay 10th. Stan Mills and Dave Dewhurst took two of the three primes on Haslingden Grane, but for the 1964 Club Mountain Trial only four entries were received. At the A.G.M. in October 1964 the position of Time Trial Secretary was taken over by Jack Roughley and in the following year, 1965, he organised his first twelve hour event. Since then Jack has been the Organising Secretary for the Club Twelve Hour right up to the present day, thirty eight years in all, a record that will be hard to beat. On March 21st 1965, Jack promoted his first event, a Second Class (1.3.0) 25. There were 56 entries, 27 non-starters and 2 non-finishers – only 27 finishers out of 56, and the winner’s time was a mediocre 1.10.34. The winning team’s aggregate was 3.44.57 (1.11.07, 1.14.52 and 1.18.58 – could this be a record)? The reason for these times is summed up in the note on the finishing sheet, “Congratulations to all prizewinners, in fact to all the competitors who braved such a wretched day. Having to contend with a snowstorm and gale force winds throughout the event was most discouraging”. Dave Dewhurst, no mean performer and winner of many Club Championships in the next few years, could manage no better than 1.12.34. The Road Race boys were again doing the Club proud in 1965. It was reported in May that Brian Edwards had beaten top Merseyside Juniors, and the previous year’s Schoolboy Road Race Champion, in an event on Merseyside, and even better was to come in June, when Dave Dewhurst (see above) and Brian Edwards became the B.C.F. North West Divisional Road Race Champions, Dave at Senior level and Brian at Junior level. This was the first time that the same club had produced both the Senior and Junior Champions in the same year, a great achievement, especially for a so called “time trialling club”. On the time trialling front, the Club 25 was won by Stan Mills and the 50 by Martin Eldershaw, the son of pre-war star Fred. The Club 100 had an entry of ten but, on a day of rain and wind, there were four DNS and four DNF leaving Arthur Brookes, riding his first hundred, and Jack Farrimond to fight it out for the honours. Jack had a one minute late start which cost him the Championship as Arthur won by 52 seconds. Stan Mills was the Club 12 hour champion and took the N.L.T.T.A. Championship, only the second L.R.C. member to win this title. The Club also took the N.L.T.T.A. Team Title. New recruits included Roger Winstanley, Pete McVey and Malcolm Evans, Pete soon being pressed into service for the L.R.C. soccer team in its annual fixture with Bolton Clarion. The previous year the match had ended in a draw, but for the 1965 event the Club came out on top with a meritorious 4-2 win. Early 1966 again saw members scoring successes in road races. Alan Swimby won the Pendle Forest event, and with Stan Mills fourth and Dave Leyland eighth, the Club also took the team prize. Pete Halliwell won an event at Oswaldtwistle and three other first places were claimed by Club members. A name missing from the roll of honour on the road racing front was that of Brian Edwards, who had gone to Belgium for a season’s racing there. Shortly after this Dave Dewhurst was involved in an accident in his Minivan when a front tyre blew, and he was confined to hospital. Fortunately he was not seriously hurt and it was not long before he was out and about again, in fact he was to finish in third place, only two minutes behind the winner Stan Mills, in the Club Mountain Trial, (sponsored by the Old Lags Association) over two laps of the Holcombe Circuit. Riding in the N.L.T.T.A. 100, Stan Mills clocked 4.13.01 and, backed up by Pete McVey and Jack Ellis, who both clocked 4.37.36, the Club also took the team award. Roger Winstanley, riding his first hundred, did an excellent 4.38.34 for second handicap. Stan was pipped for first place by S Taylor, Bolton Clarion, whose time was 4.11.04. Roger’s excellent first time ride was to gain him the Club Novice Award for that year. In the North West Road Race Championships the Club defended the titles won the year before, but succumbed to the riders from Bolton Clarion who “did a Road Club” by taking both the Junior and Senior titles. Alan Swimby finished 5th in the Senior race and Andy McNab and Dave Leyland finished in 3rd and 4th places in the Junior event. The Perennial question on the viability of the Open Twelve was again raised in 1966 as only 30 entries were received. Of the 30, 28 started but only 13 finished! Organiser Jack Roughley reported “The event started with what the Met. Office described as occasional scattered showers, but unfortunately these developed into a continual heavy storm which lasted for eight hours, by which time 15 of the 28 starters had decided not to match their fitness against the atrocious weather”. The Club had three finishers, Stan Mills in third place with 244.864, Pete Halliwell, riding his first twelve, 225.123 and Jack Ellis 222.848. Stan Mills’ ride, together with his fast hundred, again gained him the first place in the N.L.T.T.A. Championship, but the Club was unable to repeat the Team win of 1965, the honours going to North Lancs. Road Club who also won the team prize in the L.R.C. Open Twelve. By the end of the season Stan Mills had lowered the Club Record for 50 miles to 1.56.45, and this, together with a 100 time of 4.10.36 and his twelve hour of 244 miles, gained him 31st place in the B.B.A.R table. In the Club 25 Stan was again the winner and second place was taken by Brian Edwards, whose 1.1.50 was a P.B and gained him first handicap. At the end of 1966 Stan Mills decided to leave the Club to join the North Lancs. Road Club, a sad loss as Stan had set new standards and had been an excellent Club Secretary for some time. His place as Secretary was filled by Malcolm Evans. For the 1967 season, Brian Edwards had decided to return to Belgium, and Andy McNab, Alan Swimby and Dave Dewhurst had also decided to try their luck at continental style racing and had gone to join him. Dave Dewhurst soon returned from Belgium and almost swept the board in the 1967 club events, taking the 25, 100, and 12 Hour titles and, with Dave Leyland, a share of the Road Race title. In the Club Twelve Hour, which again was low on numbers with only 34 entries, Dave was placed fourth with 245.907 miles, a ride which was good enough to give him first handicap, and Roger Winstanley, riding his first twelve and covering 230.781 miles, took second handicap. The Club team of Dave, Roger and Jim Waring were the winning team with an aggregate 699.626 miles. The North Lancs. Road Club, successful in the team race in the previous year, had only one finisher and that was Stan Mills! On the road racing scene, Alan Swimby, (another refugee from Belgium), won the Horwich C.C.’s ‘Tour of the Pike’ following it up with a third place in the Queen’s Park Criteriums and finishing in the bunch in the classic ‘Tour of the Peaks’. Dave Leyland, riding in the Second Category event, came out on top, and the win gained him his First Category Licence. Dave Dewhurst was the Club Champion and finished in third place in the NLTTA BAR Competion. It was with great sorrow that members heard of the sudden death of Ethel Baxter in April 1968. Ethel, the wife of Club President, Cliff Baxter, was a stalwart of the Club, and it was mainly thanks to her efforts that the L.R.C. continued its existence during the war. A very keen and active cyclist, she enjoyed all forms of the sport. She took part in some time trialling, and was a keen supporter of Cliff and, indeed, other Club members in their racing endeavours, but her real love was touring in all its aspects. She was a member of the Rough Stuff Fellowship, and spent many days and holidays with Cliff and other members of the Club on rides on high ground in the Lakes and Dales and on the Continent. She was the Club Social Secretary for many years and was responsible for organising many successful dances and dinners. She was the type of person who was always ready to lend a hand at any Club function and her lively and humorous manner would be greatly missed. In April 1968, Dave Dewhurst had a slight brush with the law, quote: “It’s good to see the ‘Gendarmerie’ are on their toes these days, as Dave Dewhurst will testify – after the Club 25 he got stopped by a ‘Peeler’ in Preston, wanting to know whose bikes he had in the back of his van and where he’d got them etc.”! Dave must have been able to give some satisfactory answers as he was soon in action again. New members welcomed in 1968 included fast man Phil Asquith, who was soon to make his mark with some very fast times. That year he lowered the 25 mile record to 56.57, Dave Dewhurst took a second off that with 56.56, Phil then lowered it to 55.25 and subsequently to 55.10, a record that was to stand for many years. He also lowered John Senior’s 1954 thirty-mile record of 1.14.29, to 1.10.50. Phil was supreme at the shorter distances and scored a hat trick of wins in the Club 25 mile Championship in the years 1968, ’69 and ’70. Ken Marsden made another come-back that year and was soon among the prizes, clocking 1.3.55 in the Club’s Opening 25 which was good enough for first handicap, and then taking third place in the Ribble Valley 25 and leading Phil Asquith and Pete McVey to the team award. Stan Mills was also welcomed back after his brief sojourn with the North Lancs. RC but was not riding up to his usual standard. In 1968 the R.T.T.C. introduced new drugs regulations, the gist of which was that the National Committee had the right to choose an event to conduct tests on selected riders without warning. In the 1968 NLTTA 50, Ken Marsden, Phil Asquith and Dave Dewhurst were second, third and fourth, and, out of a field of 52 riders, no fewer than 15 were from the Road Club. On the road racing front, in the Circuit of the Pike, Alan Swimby and Dave Dewhurst finished third and fourth behind two Milk Race riders, and Alan’s performance, together with some other good results that year, gained him the Club Road Race Championship, a feat which he repeated the following year also. Dave Dewhurst with some excellent times including his Club Record 25 and a 1.58 PB 50, became the Club Champion for the second year in succession and finished in second place in the NLTTA BAR Competition. Although it had been a successful year on both the time trialling and road racing fronts, the attendance at the Club Dinner was very disappointing. As Malcolm Evans, the Club Secretary reported, “Well, if that is the greatest number of people we can raise for our own Dinner it isn’t worth holding one, nor can the Club continue to lose money to the extent that we did.” How many were there is not reported, but it would appear that it could have been a foretaste of things to come in the next few years. In 1969, John Leach was recruited from Clayton Velo and was a very welcome addition to the strength, contributing to a number of team wins with Phil Asquith and Malcolm Evans. The club hundred that year was not exactly the most interesting or competitive in the history of the Club. Out of only five entries, two failed to start and one did not finish, leaving Andy McNab and Roger Winstanley to battle it out. Andy came out on top with 4.39.34 and became Club 100 Champion. Jim Waring won the Club Twelve and this helped him to become Club Champion after a number of years of endeavour. In 1969, Club Secretary, Malcolm Evans’, “mind was boggling“, at the thought of two new competition records. John Watson, Clifton C.C. had, as Malcolm reported, “clocked 11 consecutive 1.3’s in completing almost 282 miles”, (a record that was to stand for 10 years), and Roy Cromack, also of the Clifton C.C. had “ridden almost the equivalent of Bolton to London to Bolton to London in riding 507 miles in 24 hours”, a record that was to stand for 28 years. Cromack’s 24-hour mileage is still a tremendous achievement, but a 12-hour mileage of 282 is, while out of the reach of most riders, nothing out of the ordinary for the top men in 2003. Little did anyone realise that one day 287 miles would be achieved on our own twelve-hour course. The decade came to an end having been a very successful one for the Club, with almost all the Club Records being broken on numerous occasions. Things were, however, not all rosy; dark clouds were appearing on the horizon, and the Club was to experience a few years of depression.